And it literally costs $0. I'm a crafty lady. I don't mean that I sit around scheming about taking down my enemies (though I do that, too). What I mean is that I spend a lot of my free time trolling the aisles of Michael's looking for new and exciting crafts and projects to make for the people I love. Right now I'm obsessed with the "I love you" jar. It's seriously one of the best free gifts ever. And if you're creative, you can make this gift for free. If you don't know what it is, let me break it down for you really quickly. 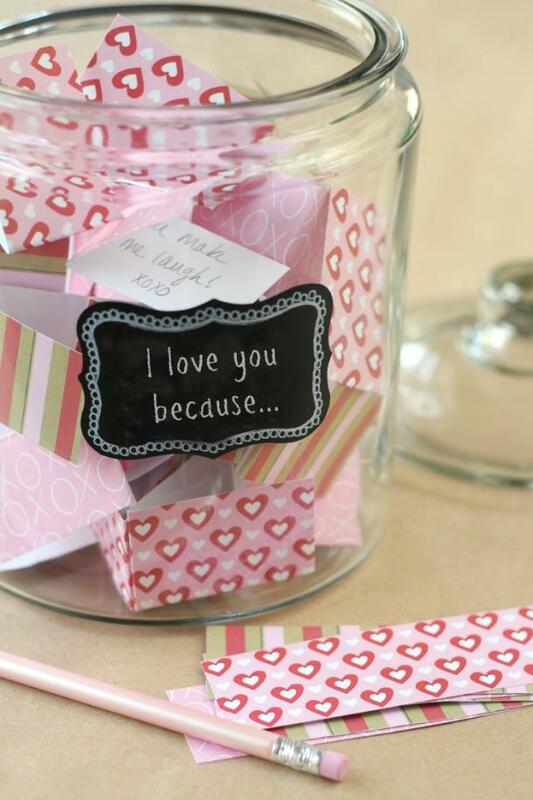 To make an "I love you" jar, purchase an empty jar — or use one you already have! — and decorate it however you wish. 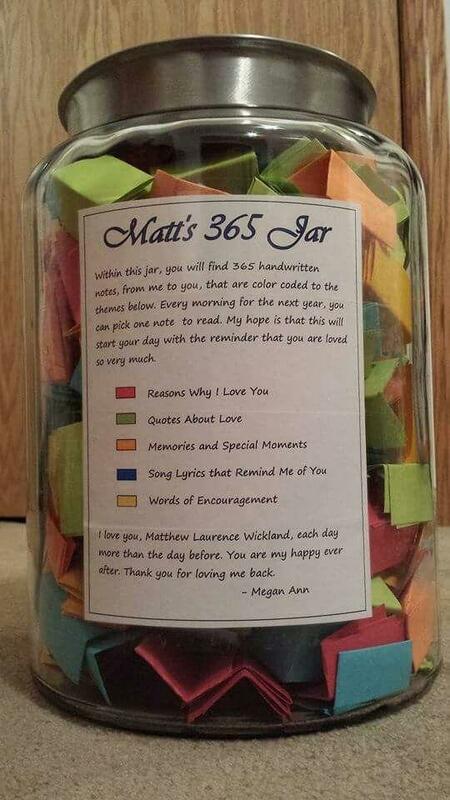 Then fill it with slips of paper that detail why you love the person you plan on giving it to. It's perfect for how to show love to someone in your life. 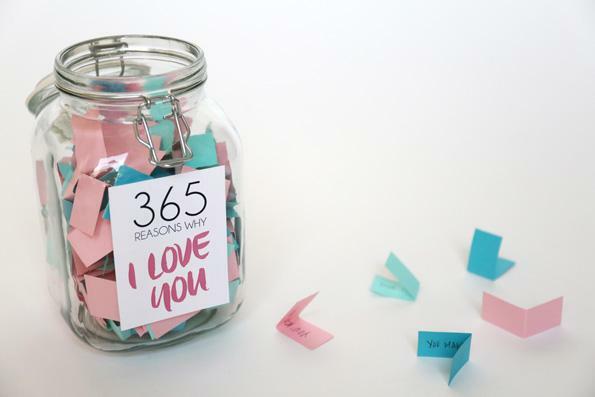 If you have the energy (and are amazingly creative), you can put in 365 slips of paper or photos, so that the person you love can hear "I love you" in a special, new way every single day of the year. It's that easy! It's so much more interesting and sweet than buying your dude another tie or some cufflinks. 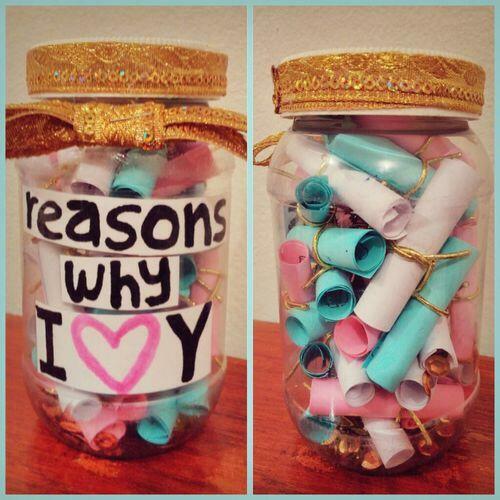 If I haven't sold you on this project yet, here are 5 more reasons why the "I love you" jar is the best free gift ever. Making an "I love you" jar is the epitome of giving someone you love a totally unique gift. Not only are the sentiments inside one of a kind, but the jar itself is a total original. You pick the style, you pick the colors, you pick it all. Sure, other people might have made them before, but no one has made a gift exactly like yours before. 2. Because even if you say it a lot, you don't say it enough. Let's face it, even if you're one of those people who says "I love you" at least once a day, you probably don't say it enough. And even if you say it every other sentence, it starts to lose meaning. Sure, your loved one knows that you love them, but they don't really know why. This Christmas gift lets them know that the reasons you love them are expansive and real. That's sweeter than saying "I love you" with every single breath you take if you ask me. Which you didn't. But, like, you're reading this, so I'm gonna assume. 3. It's the reason for the season. It doesn't matter what religion you are. It doesn't matter what your system of belief is, or if you even have one. The holidays are about connecting with the people you love. 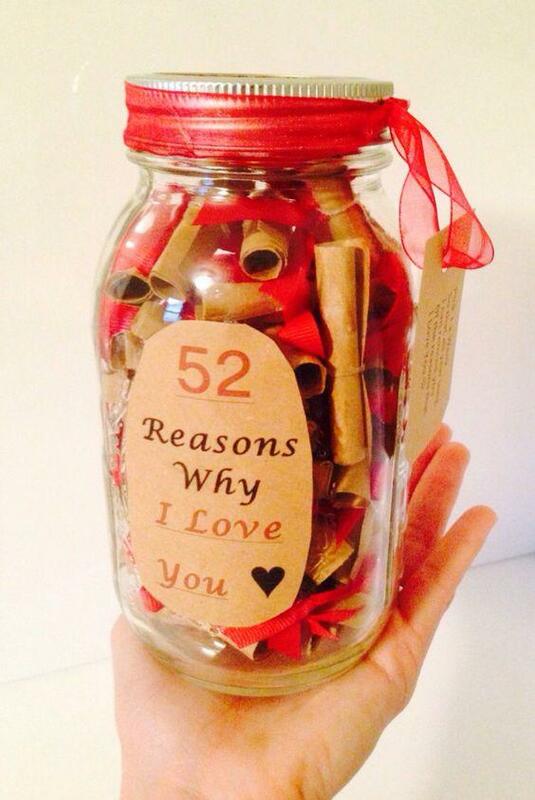 How better to celebrate that by giving someone a homemade "I love you" jar? RELATED: Ultimate Holiday Gift Guide: 60+ Gifts For Women, Men, Pets, And Even... Yourself! 4. It's not expensive. In fact, it's pretty much a free gift if you're creative. Let's talk dollars and cents. Sure, you can buy your significant other something you spotted on their wish list and be guaranteed a smile. But an "I love you" jar is an inexpensive way to demonstrate you care without making it look like you were just pinching pennies. It feels like every year the holidays become more about how much you spend instead of how much you feel. This simple, sweet craft is a reminder of what really matters. 5. It's as personal as you can get. You can find personalized gifts everywhere. Get a bracelet with initials on it, or a bag with a monogram, boom, done. But there's personalized and then there is PERSONAL. Making an "I love you" jar and filling it up with specific, real reasons why you love someone is way more personalized than anything LL Bean could ever hope to whip up.